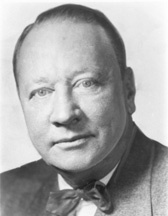 REYNOLDS, Robert Rice, a Senator from North Carolina; born in Asheville, Buncombe County, N.C., June 18, 1884; attended the public schools, Weaverville (N.C.) College, and the University of North Carolina at Chapel Hill; studied law; admitted to the bar in 1907 and commenced practice in Asheville, N.C.; served as prosecuting attorney of the fifteenth judicial district of North Carolina 1910-1914; unsuccessful candidate for nomination for lieutenant governor in 1924 and for United States Senator in 1926; presidential elector in 1928 on the Democratic ticket; elected as a Democrat on November 8, 1932, to the United States Senate to fill the vacancy caused by the death of Lee S. Overman for the term ending March 3, 1933, and on the same day was elected for the term beginning March 4, 1933; reelected in 1938 and served from December 5, 1932, to January 3, 1945; was not a candidate for renomination in 1944; chairman, Committee on the District of Columbia (Seventy-seventh Congress), Committee on Military Affairs (Seventy-seventh and Seventy-eighth Congresses); unsuccessful candidate for the United States Senate in 1950; practiced law in Washington, D.C., and operated a large estate near Asheville, N.C.; died in Asheville, N.C., February 13, 1963; interment in Riverside Cemetery. American National Biography; Dictionary of American Biography; Pleasants, Julian M. Buncombe Bob: The Life & Times of Robert Rice Reynolds. Chapel Hill: University of North Carolina Press, 2000; Reynolds, Robert Rice. Gypsy Trails. Asheville: Advocate Publishing Co., 1923.